Implementing any protocol requires adequate supervision and licensure of staff. Simply being exposed to a document does not mean someone is adequately trained to facilitate the implementation of a suicide protocol. Once we identify a child might be struggling, who do we send them to? What if our school doesn’t have a Comprehensive School and Community Treatment (CSCT) or other mental health professional in the building? What if our community doesn’t have professional mental health services? Who in our building is trained and ready to assess the suicidal risk of a child? What if a child is in need of follow-up support? Who has the conversation with parents? These questions are important for schools to answer to feel confident they are doing the best they can to support children who may be suicidal. There are several support services in the state that are ready to help. OVERVIEW OF A SUICIDE EMERGENCY OPERATIONS PLAN ANNEX: This document includes items for a school to consider when creating a comprehensive Emergency Operations Plan with a specific hazard annex on suicide. Included in this document are tips for schools to address in the planning phases including: 1) Prevention 2) Protection 3) Mitigation 4) Response and 5) Recovery. COPING WITH THE SUDDEN DEATH OF A STUDENT: This document was created by the Mississippi Bend Area Education Agency in Bettendorf Iowa and includes a step by step guide for administrators in dealing with the Response and Recovery stages of a student death. Peace Protocol: Kurt Michael, Ph.D. and Licensed Psychologist and Professor of Psychology at Appalachian State University has worked with schools in Montana to create a suicide protocol called the Peace Protocol. Recent publication about the Peace Protocol and its impact in rural communities. 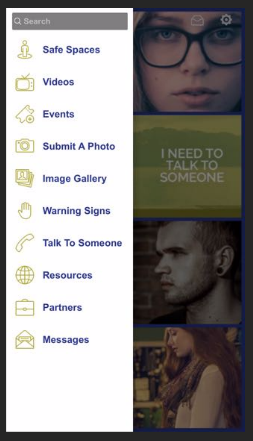 Download: #LetsTalk App at Designed to support youth. In Partnership with Alliance for Youth and Speaking Socially.